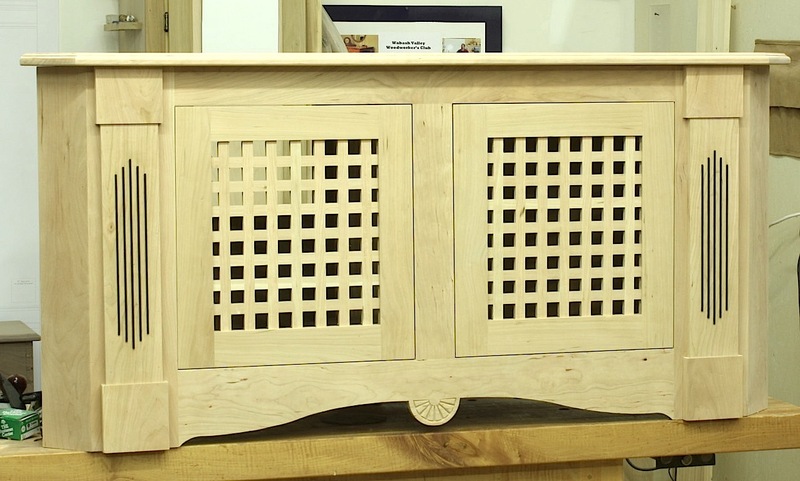 One of the very first large pieces of furniture I built to sell to the unsuspecting public was a Shaker cupboard. As I worked on the cupboard, built from an antique newspaper photo, I was unsettled with the crown molding. It was a single piece that was too small and nondescript. It didn’t feel right, but it was a piece of Shaker furniture so who was I to make a change. I carried that cupboard from show to show way too long. When I built the piece a second time, I changed the molding to a village-appropriate design that better fit the cupboard. That cupboard sold at the second show. Was I lucky, or was the design an improvement? I learned to follow my gut. This week I built a corner unit (shown above) that is to be used as a television stand. Being that the components kept inside the base are adjusted with infrared controls, and that glass was not a request from the future owner, I designed the doors with small openings. The gridded panels are made up of simple half-lap joints. 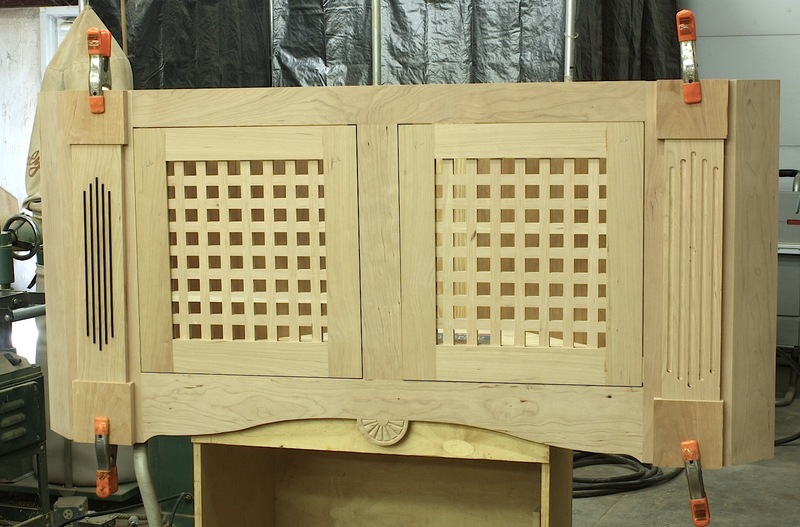 Once assembled, the so-called panels are trimmed and fit into grooves in the door parts. I’ll have to let you know how or if the design works in real life. 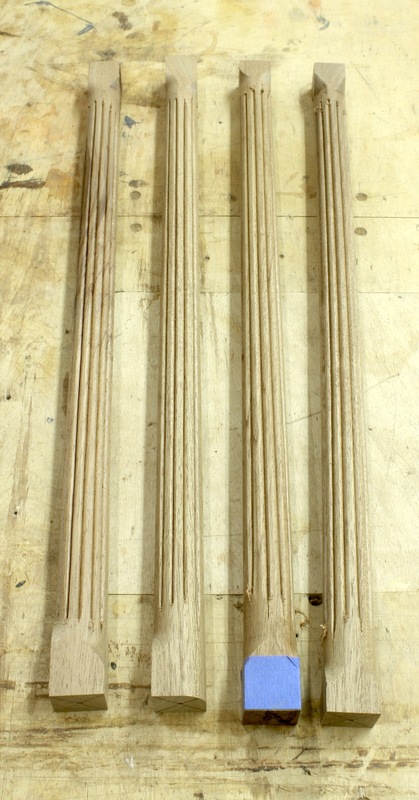 The “follow your gut” part of this build has to do with the fluted columns. To the right is a photo showing the original idea I had for the columns. (This design I used on the cased openings throughout my house – when the house was built 20 years ago this idea was fresh.) I made the two columns, then temporarily attached them to the case to get a look. BLAH! Didn’t like that at all, so I needed something different. 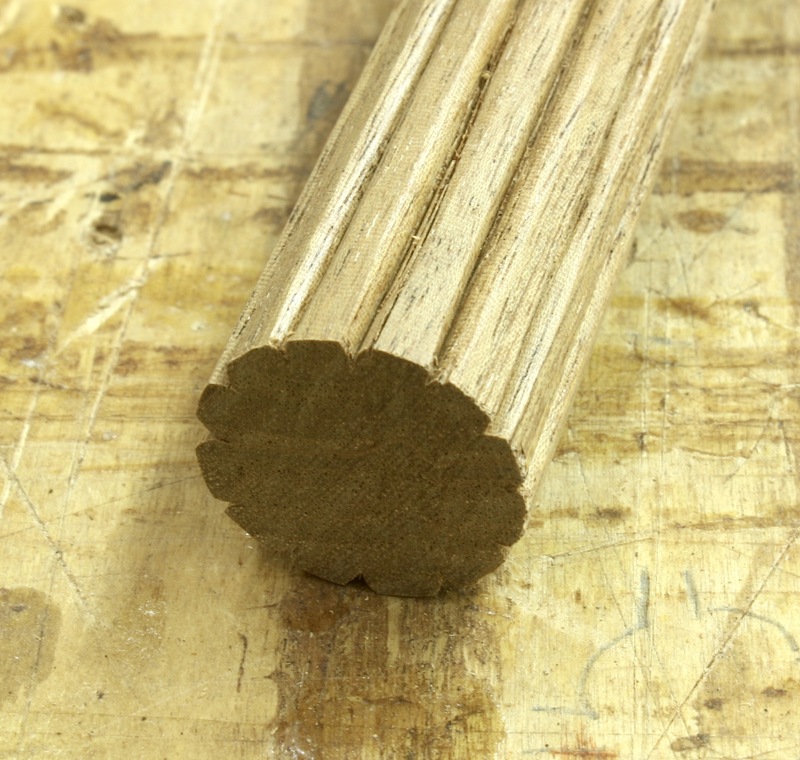 I immediately thought about an inlay detail I used on an Arts & Crafts mirror built for Woodworking Magazine, issue #7. (You can download the SketchUp model here.) The detail was 1/8″-wide strips of ebony arranged in a simple design. Bingo, I had a design change. It’s easy to do and I think it looks good. Here are the steps if you want to give it a try. 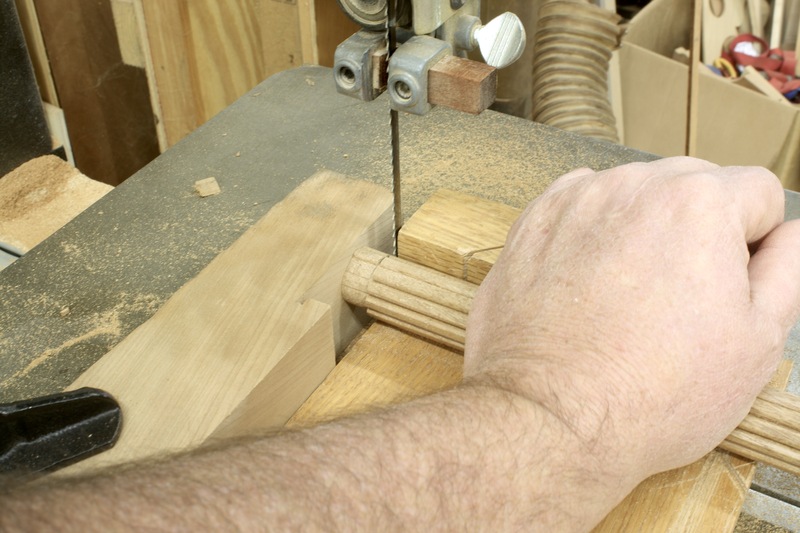 Use a fence setup on your router to plow the grooves – I like to use an odd number of grooves to make the layout easy. 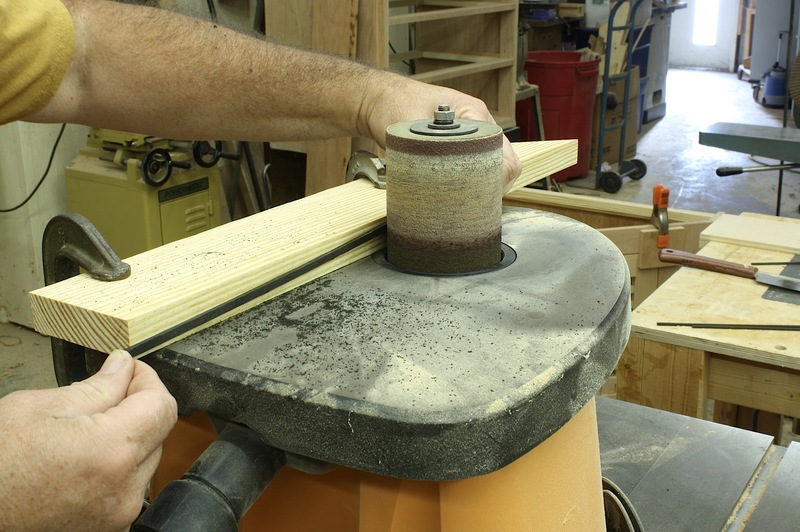 Cut the center groove first, then with each adjustment your router is setup for two grooves, one from each side. (Stepped grooves add eye appeal.) 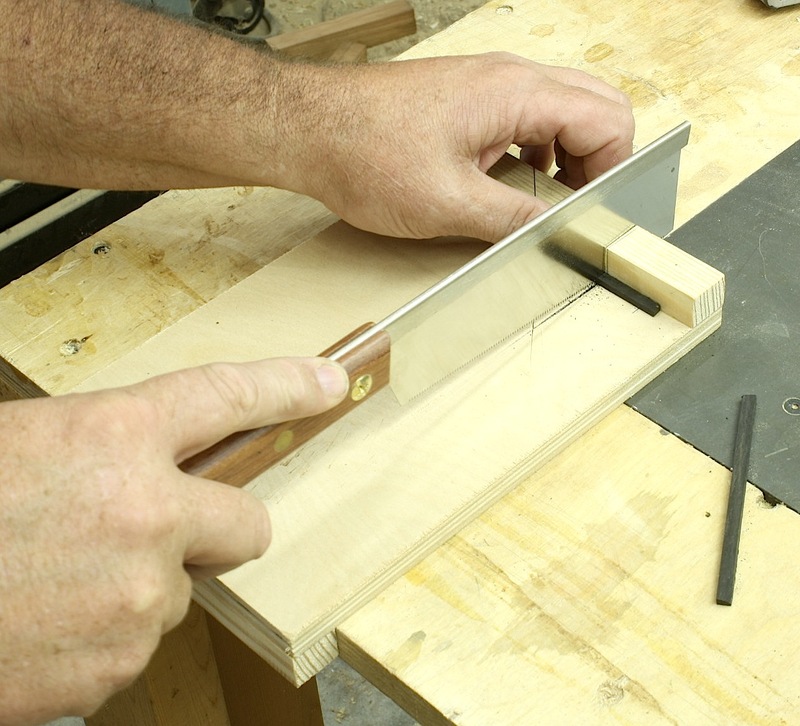 Rip the thin strips of inlay at your table saw. I installed a 7 1/4″, thin-as-I-could-find saw blade to do the job. (Hey, ebony is expensive.) Wanting to tweak the fit, I left the strips a bit thick then used my inexpensive thickness planer shown above to bring them to size. 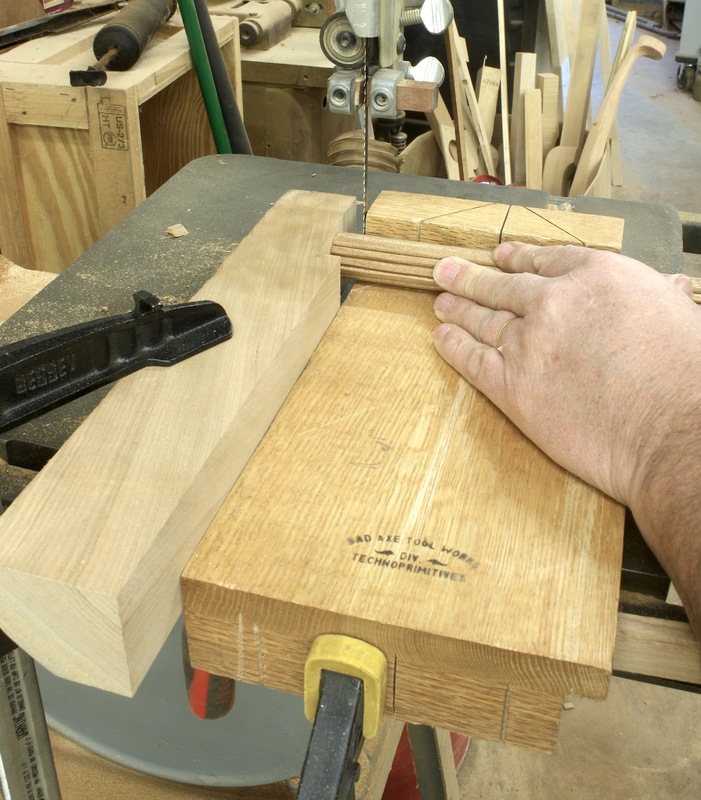 With the strips properly sized, cut the lengths to fit your grooves. 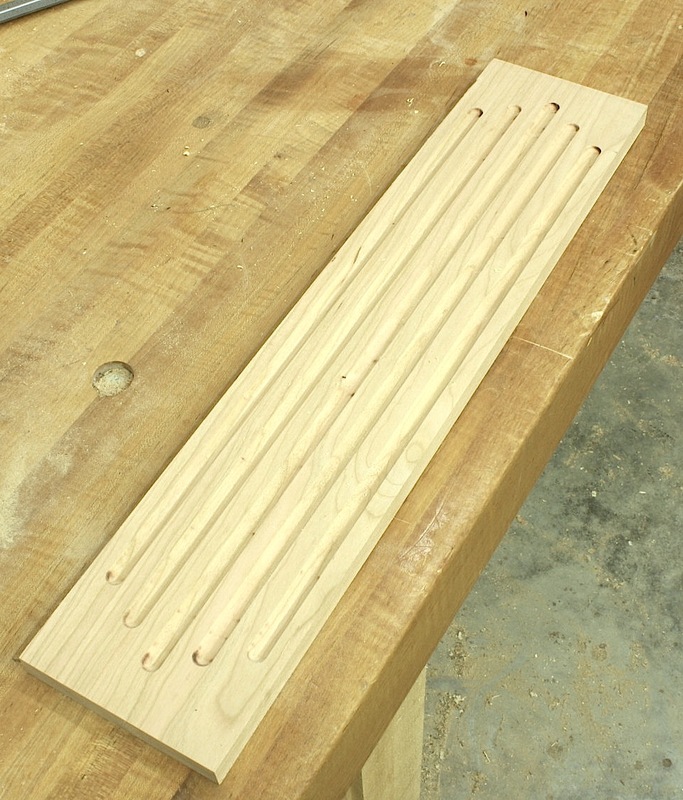 Here you’ll find a simple bench hook works great. I used small amounts of yellow glue to hold the inlay in place. After the glue dried, I decided to leave the inlay proud of the surface to add a little texture, too. This is a simple process that I believe really adds to the overall look. It definitely looks better than the rounded flutes I had planned to use, as you can see in the photo below. Don’t be afraid to follow your gut when it comes to design. It’s only wood and nothing that cannot be fixed or replaced. 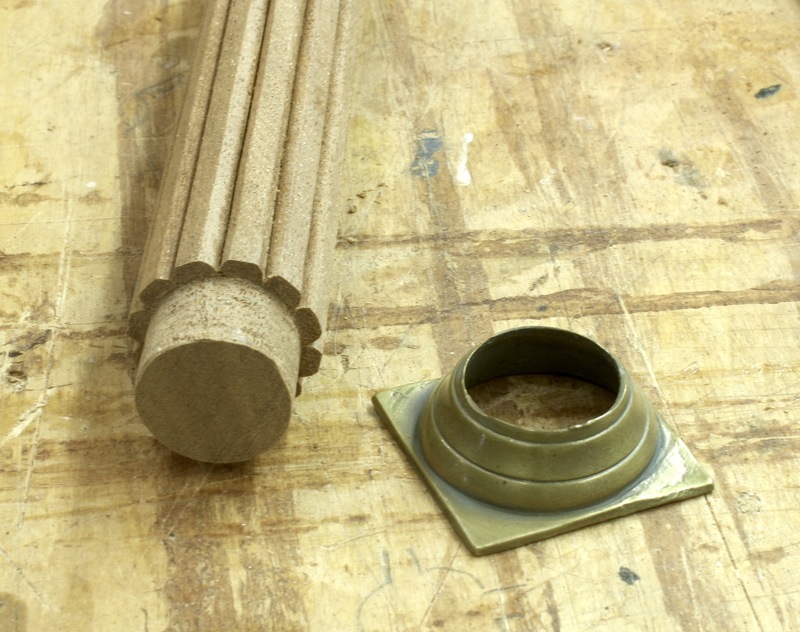 Here is a comparison look at the two fluted column designs. You have to agree that the inlay looks best.